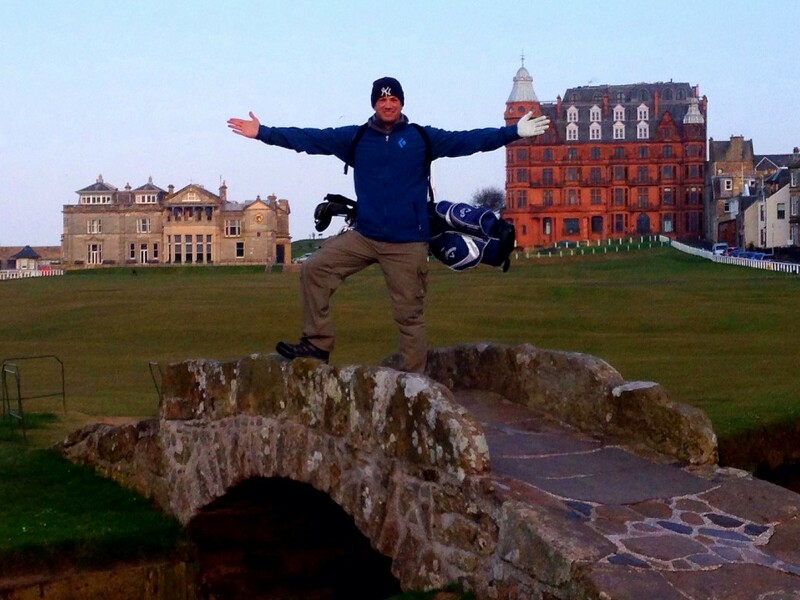 If you love golf or even if you just like golf, you’ve had fantasies of going to play in Scotland. The courses in Scotland go back centuries and the greatest players of all-time have graced the links. The style of play and the weather are foreign to most at home but you expect nothing less when you go to Scotland. 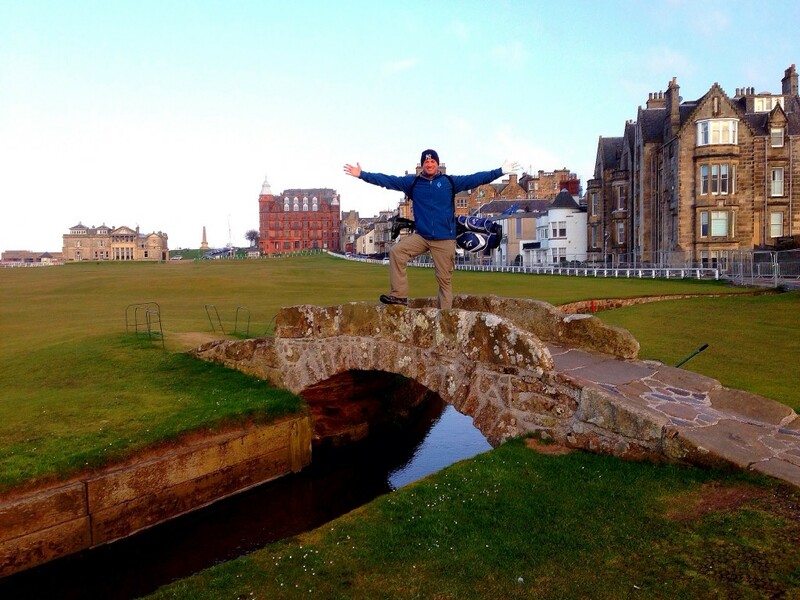 None of the famous Scottish courses epitomizes golf like the Old Course at St. Andrews. It is the home of golf, the most famous course in the world and literally the holy grail of golf. 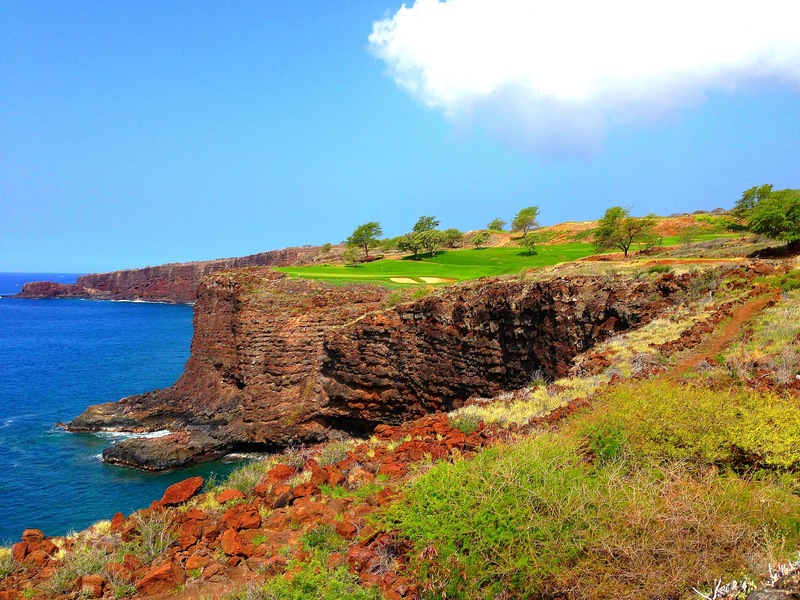 It is the experience of a lifetime for a golf fan. I cannot describe in depth enough how wonderful it was to actually be there on the hallowed grounds. It was literally humbling. 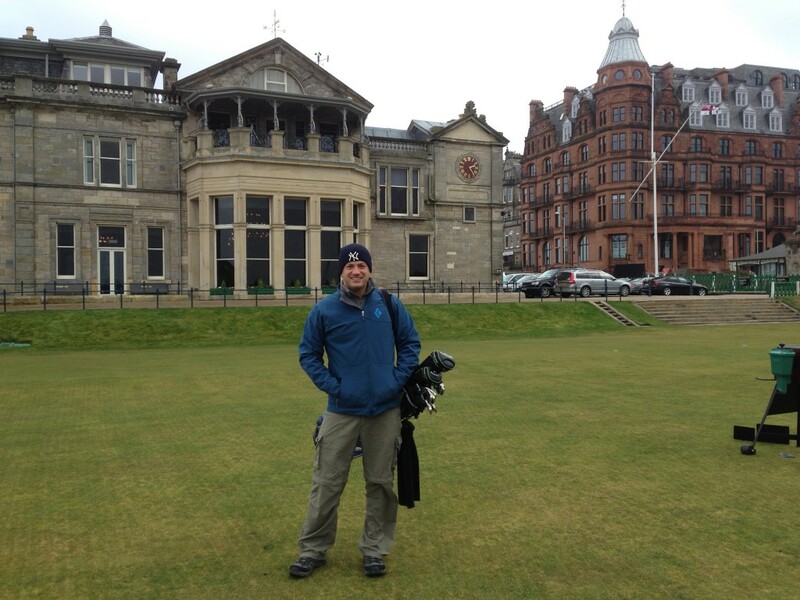 I arrived in St. Andrews and went straight to the clubhouse at the Old Course. My tee time was immediate and I had been waiting a lifetime to play on the famous links. Stepping onto the first tee and simply being on the sacred grass was something special to me as a true student of golf history. 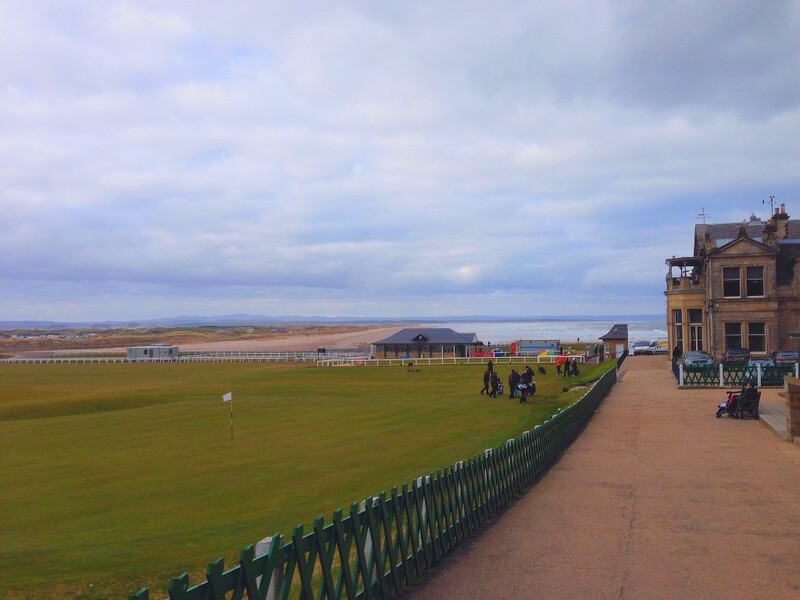 As you stand on the first tee or in fact the 18th green as they are in the same place; you are surrounded by the Royal and Ancient headquarters, the town of St. Andrews and the beach where they filmed Chariots of Fire on 3 sides. 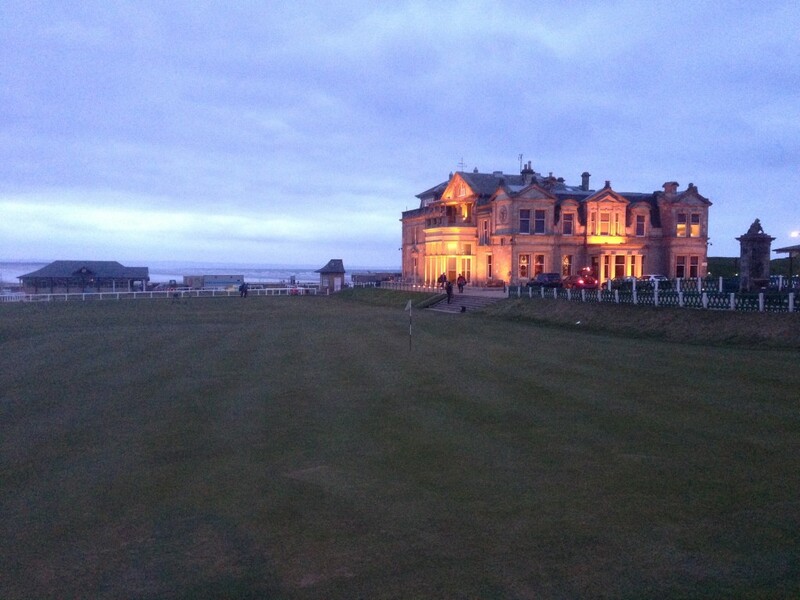 In front of you, it’s just majestic fairway with the famous Old Course Hotel in the distance. I was fortunate to hit a good drive off the first tee and played pretty well overall. What killed my score were the famous bunkers at the Old Course. 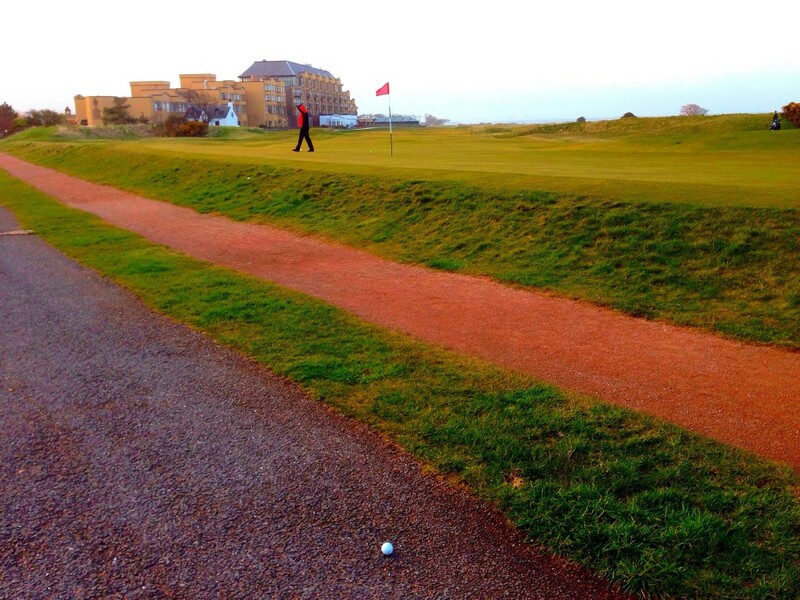 Perhaps the most famous bunker in the world is the Road Hole bunker on the 17th hole, aka the Road Hole. However, I didn’t get stuck in the Road Hole bunker, I actually parred the 17th after hitting my 3rd shot off the road; which is in play. 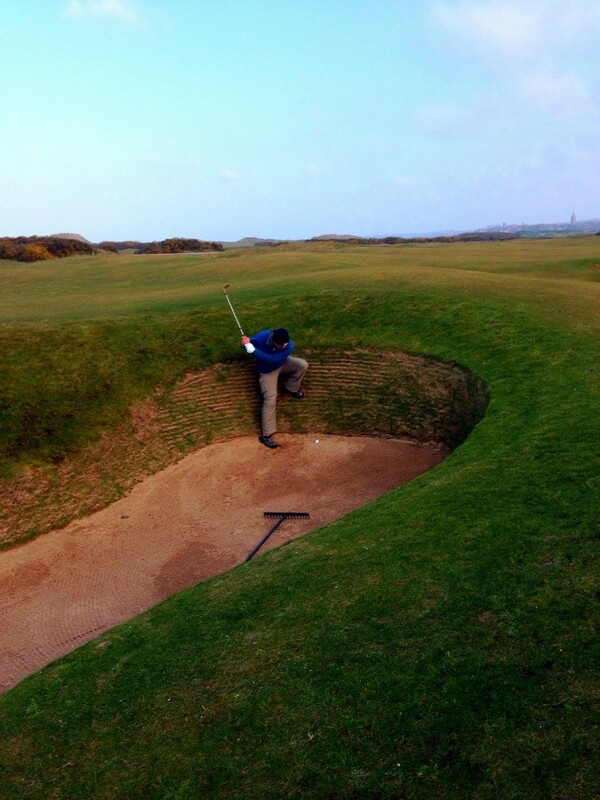 However, I did get caught in several bunkers and bunkers on the Old Course are high, deep and tough to get out of. On two separate occasions it took me 6 shots to get out of the bunker. It was frustrating to be in there but gave me nothing but respect for the pros that suffer the same fate when they get caught in these bunkers during the Open Championship. When you watch on TV, you say why don’t you hit it backwards to get out? However, it is not that easy-obviously. 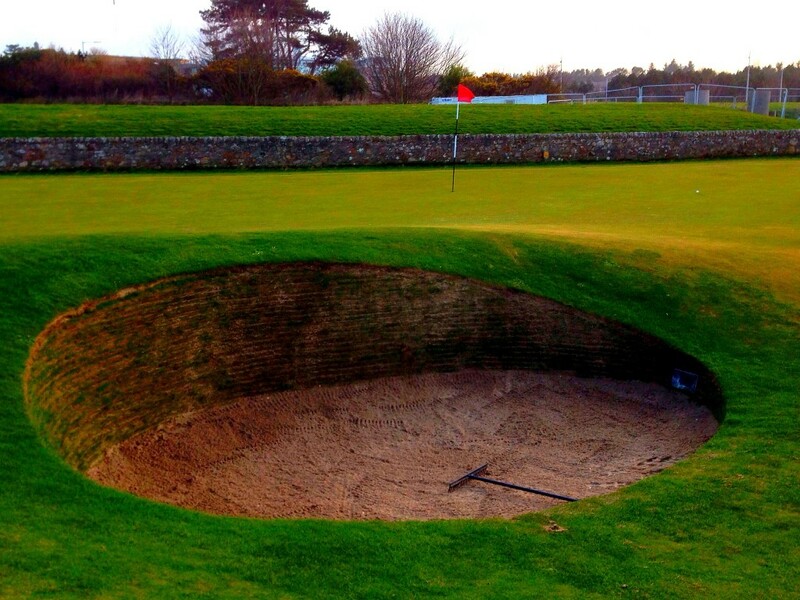 The bunkers tempt you to try to get out but you almost always fail! 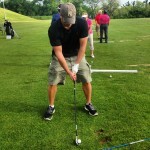 On the other hand, often times you can’t even get a stance to hit the ball cleanly. 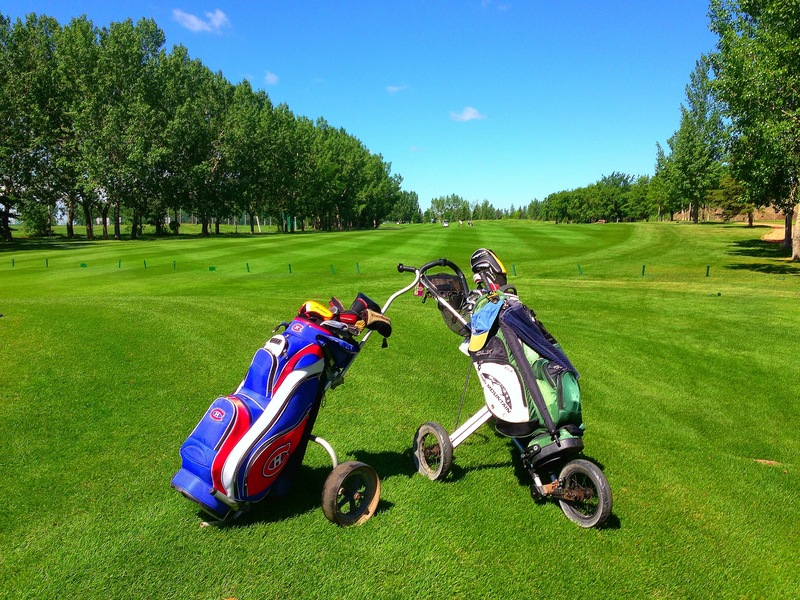 It was certainly a challenge but a great experience in frustration….but that’s golf! Coming up the 18th fairway and crossing over the famous Swilcan Bridge, I couldn’t help but take a photo (or 20) like I was Jack Nicklaus, Bobby Jones or Tiger Woods. It literally made the hairs on my neck stand up and that’s not because it was freezing out. It was just taking it all in. It was an amazing day on an amazing course. It was one of the best experiences of my life-I really mean that-a true bucket list item and I hate bucket lists! 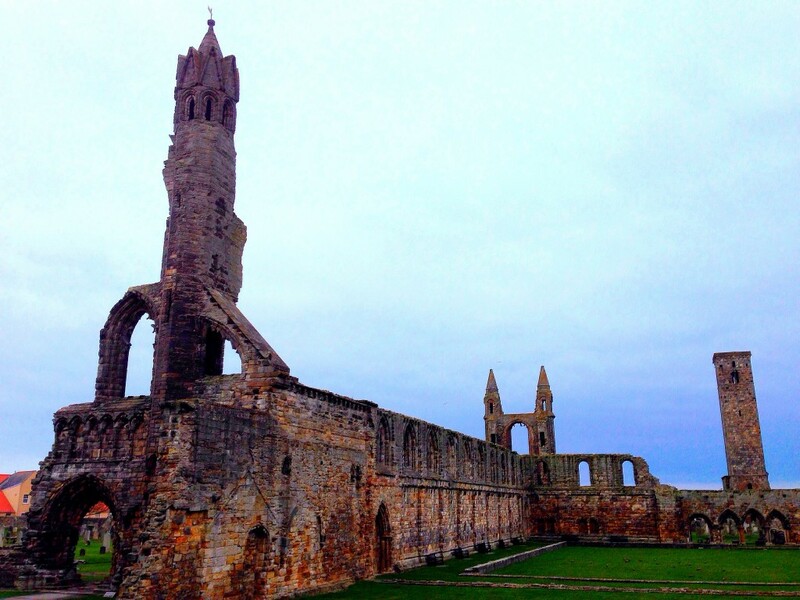 Not to be lost in the history of the Old Course at St. Andrews is the town of St. Andrews itself. St. Andrews is a University town. It is a gorgeous town with a lot of history and a stunning coastline. 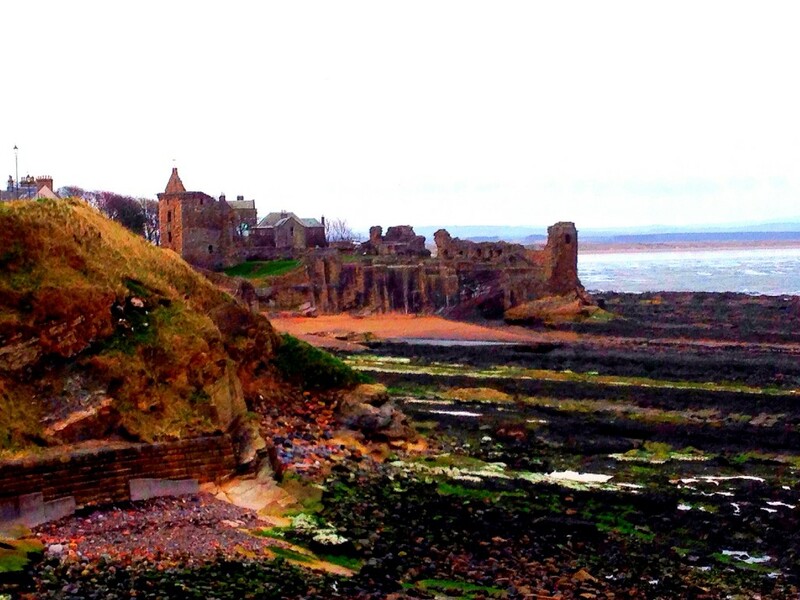 Aside from the aforementioned beach it also has a stunning old castle and cathedral. 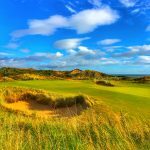 St. Andrews has a lot of golf courses in the area including Kingsbarns; where I actually shot a legitimate 78, but make no mistake: St. Andrews is a destination for non-golfers too. It really is a magical place and I cannot wait to go back! 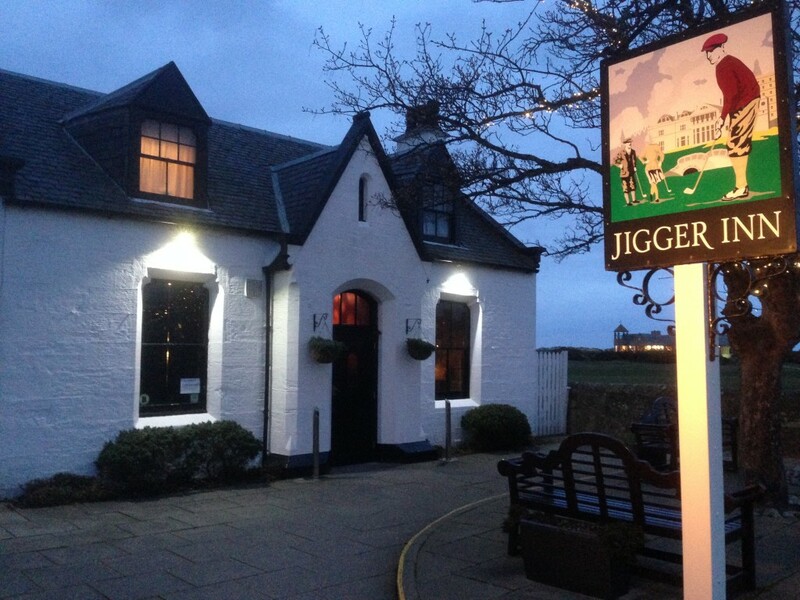 Just make sure you end your night with a drink at the world famous Jigger Inn-the best 19th hole in the world! 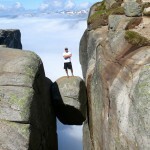 I must say I am truly jealous with this story and amazing photos; thanks for sharing Lee. 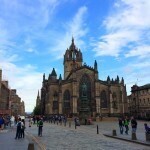 Love scotland and just missed out on going to St Andrews when I was there last, looks like am amazing place to stop off. Thanks Chris and yes it is! Would be a great anniversary gift for my husband. Can anyone play there? Driver, the Masters trip ended up being cancelled sadly! I appreciate the note though! Next year for sure! 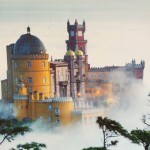 My dream! Great post Lee. Next time you must play Carnoustie! Definitely THE place to go for golf in Scotland! 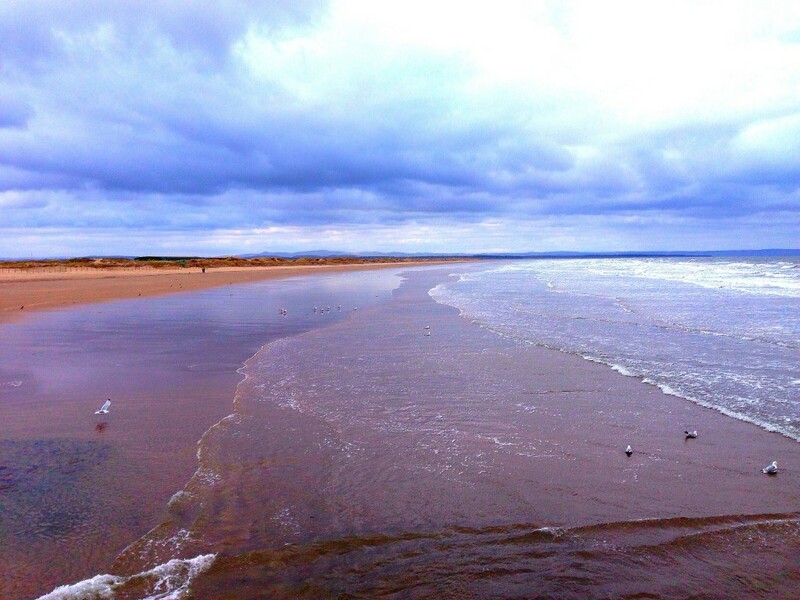 The coastline looks stunning – one for the bucket list! Now following you on Twitter so I can read more travel tips! So beautiful place and full with beautiful things. 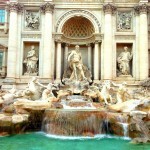 Natural beauty is one of the best attraction and awesome photos you captured of your trip.